Blake Gastroenterology Associates (Philadelphia) - Book Appointment Online! 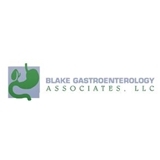 Blake Gastroenterology Associates is a “comprehensive” gastroenterology practice. Our number one goal is to be impactful throughout the greater Philadelphia community and surrounding region to help prevent and/or detect colon cancer in its earliest possible stage. Colon cancer is recognized to be the second leading cause of cancer deaths; lung cancer holding the number one position, which is not recognized to be preventable. Beyond colon cancer BGA also takes care of GERD (gastro-esophageal reflux disease, which is heartburn issues), swallowing problems, diagnose/treat peptic ulcer disease, liver abnormalities (i.e. Hepatitis C/B, diagnose esophageal cancer, gastric (stomach) cancer, & etc.